Florida Supreme Court Teacher Institute participants. The Florida Supreme Court Teacher Institute provides innovative hands-on training to 20 to 25 secondary teachers in Florida each year. The program is recognized internationally as a model in law-related civic education. 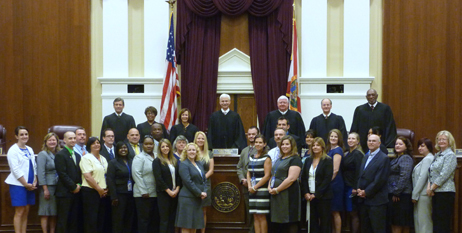 And its graduates receive the honor of becoming Fellows of the Florida Supreme Court Teacher Institute. The List of Fellows is maintained on this website. The most recent statewide Teacher Institute was held February 17-21, 2019 at the Supreme Court Building in Tallahassee. Travel expenses, in accordance with state guidelines, and substitute coverage are paid for participants. 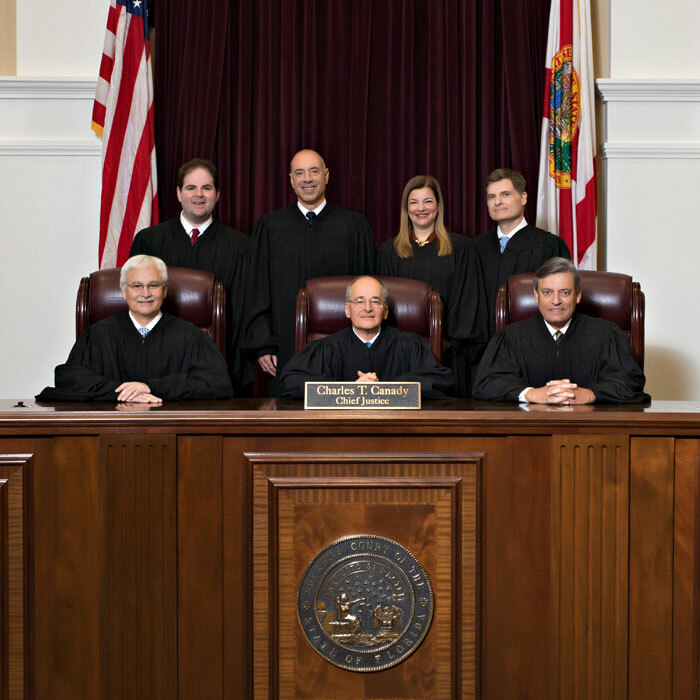 One of Florida's greatest strengths is the rich social, ethnic, and gender diversity of its citizenry, and the inclusion of diverse population groups is a priority of the State Courts System. Thus, the Florida Supreme Court Teacher Institute encourages participation by teachers who will interact with students of diverse backgrounds or who are themselves members of a minority group. After successfully completing the Teacher Institute, teachers will receive certificates recognizing them as Fellows of the Florida Supreme Court Teacher Institute, signed by all Justices of the Florida Supreme Court. Teachers who participated in previous Florida Supreme Court Teacher Institute training sessions will conduct colleague training seminars in their local communities. If you are a Florida middle or high school teacher who is interested in attending the next teacher training institute, please contact Emilie Rietow with the Florida Supreme Court at 850.921.9446 or rietowe@flcourts.org.